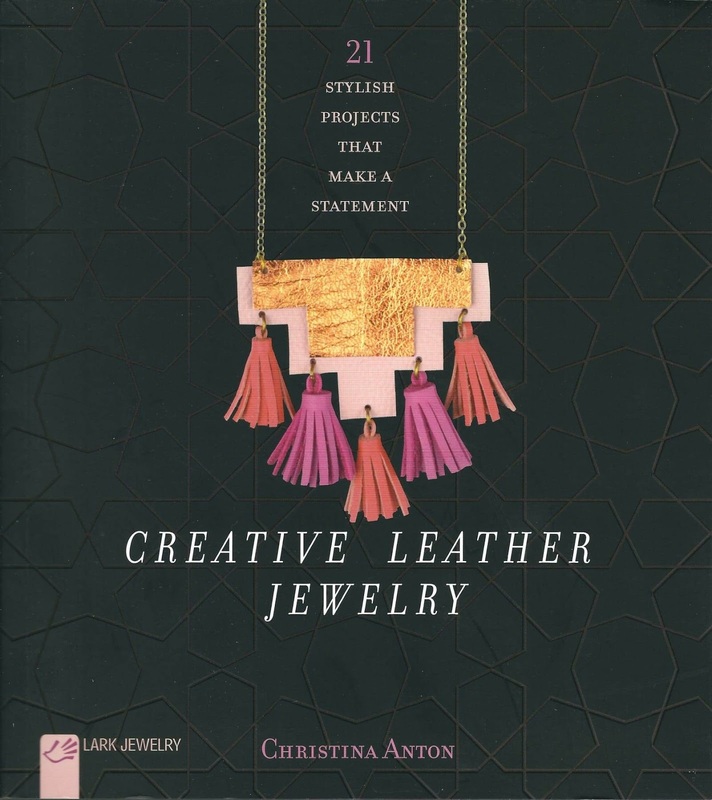 Discover the secrets to working with leather to create "stylish projects that make a statement" with this latest book from Lark Jewelery. Last time I visited my local scrap store, I picked up a big bag of leather scraps in all sorts of colours. 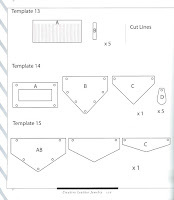 When I received this book by Christina Anton, I knew it would have lots of ideas for using up these small pieces to make some striking designs. 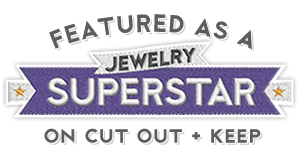 If you've thought about leather jewellery before, you've probably imagined the traditional leathercraft that uses stamps and punches to create cuffs and key rings and maybe even bags. 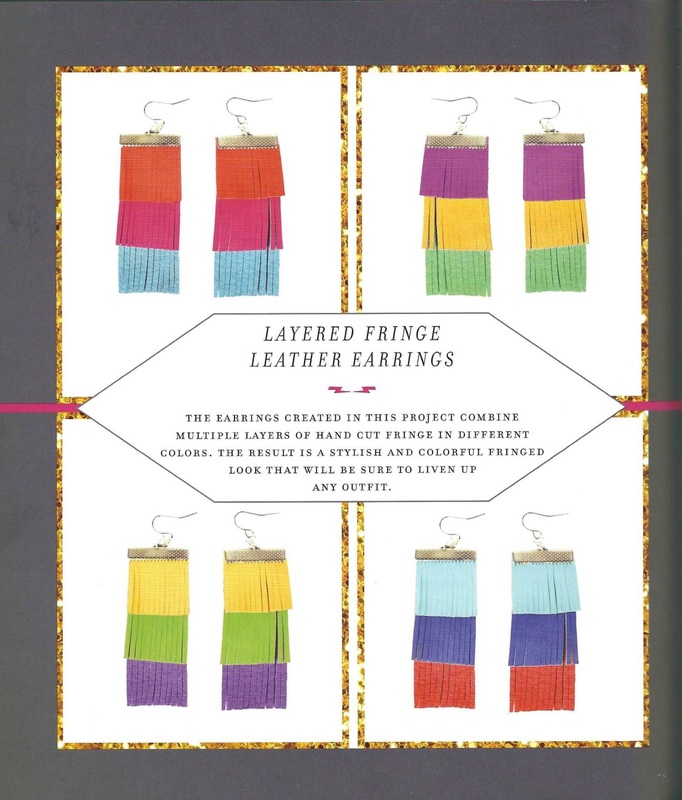 This book challenges the traditional approach to leather, using bright colours, bold shapes and contemporary motifs in projects that are achievable with minimal skills, materials or tools. Starting with a chapter on the basics, you will learn all about the tools and techniques required to complete all 21 projects in the book. Then, each project is clearly photographed with an easy list of materials and tools. Christina takes you through, step by step and using images where required, to a finished piece. 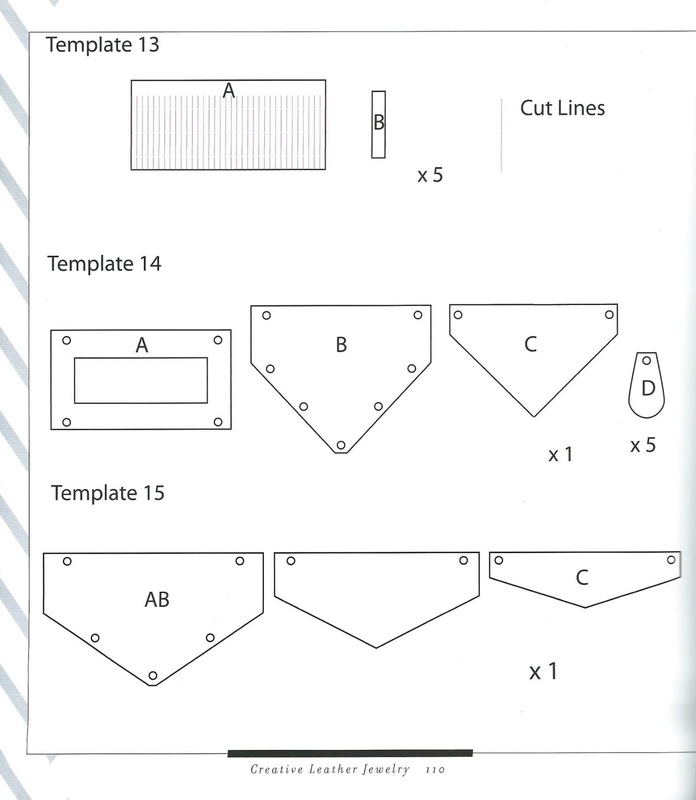 All the templates you need are in a section at the back of the book. 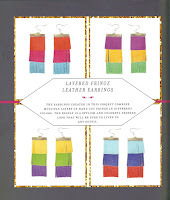 I have to say that if you aren't a fan of bold, statement pieces then the designs in this book are probably not for you. However, there are still lots of useful tips and techniques that you could easily apply to your own projects that are on a smaller scale or in less striking colours. This being said, I have some neon leather scraps in my stash that I am definitely going to turn into tassels for key rings. As you all know, I always like to test drive a project from each book I review. 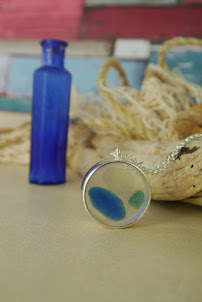 This time, I chose a layered fringe earring project but adapted it to be a pendant. I picked some toning brown leathers and added a little owl bead on a headpin but the basic design is the same. 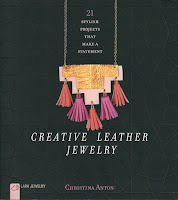 If you fancy having a go at your own leather project, we have a copy of Christina's book to give away to one lucky follower. Just leave a comment on this post and we will pick a winner on Friday 10th March after midday.